A once in a lifetime experience where your young girl turns into a young woman. 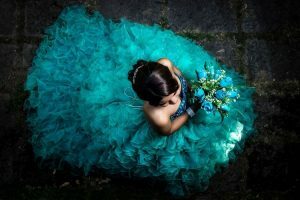 We know that all Quinceanera planning can be hectic and expensive. Let us help with the transportation with San Diego Quinceanera Sweet 16 Limousine Bus Rental Services. 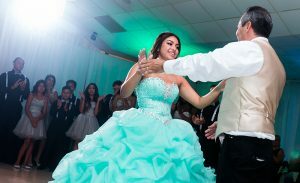 We offer great San Diego discount packages all inclusive Quinceanera limo rental packages and Sweet 16 celebrations. We will take care of all your family and guests with options for Sedans, SUV's, Sprinter Vans, Limousines, and Buses. Transfer everyone between Venue locations and leave the driving to professionals. We guarantee you will have an amazing time with any vehicle we set you up with at The Lowest Limo Discount Rates in San Diego. We off every option, size, and color your Sweet 16 or Quinceanera could look for. The more popular San Diego Quinceanera Sweet 16 Limo Rentals are WHITE SUV Limos like the White Cadillac Escalade Limo, White Hummer Limo, or even a Pink Hummer Limo. With the largest selection of Limousines up to 20 passengers, we are sure we will find the perfect match for the special lady. 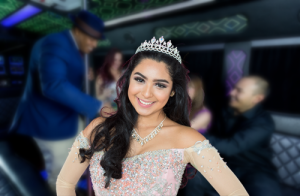 Another popular choice for Quinceaneras and Sweet 16s are the San Diego Quinceanera Sweet 16 Bus Rentals. With options like White Limo Buses and White Party Buses, her and all her friends will have an amazing time wherever you need to go. We always also suggest booking a Shuttle Bus or Charter Bus for the rest of the family and guests as some locations have limited parking and traffic can become an issue. Save time, money, stress by shuttling all guests together. Just ask any of our amazing sales representatives for further information. We have perfected the way we price out Limo Transportation Services in San Diego. 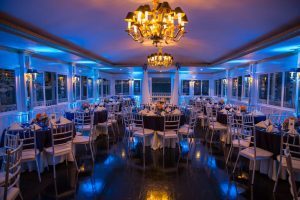 San Diego Quinceanera Sweet 16 Limousine Bus Rental Services Pricing can easily be determined using our internal software with prices that have been intricately negotiated with multiple Limo Companies throughout San Diego. All Limousines, Sedans, and Buses are available with Point to Point Rates, One Way Transfers, Hourly Service Rates, and Hybrid Pricing.